In Madrid horseracing is relatively new yet it is becoming more and more popular as Spaniards start to embrace the sport. For visitors to Madrid who wish to go and see a meet at the hippodrome Zarzuela its a relatively simple process and this guide makes it simpler still! Sundays - Mornings from 1000 (1st race normally 1100) to Mid afternoon (1400ish)- 12 races normally but this can vary. 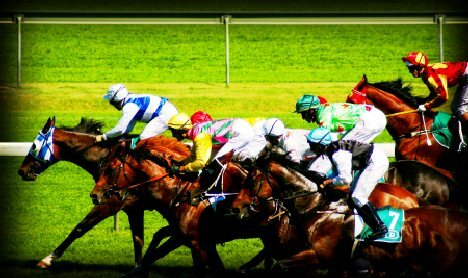 The quickest and easiest way to take in the best of Madrid horseracing is via the Free bus from Paseo Moret (1st bus departs 1000hrs) next to Moncloa bus station. The quick journey takes around 20 minutes and you may even get up on the gossip! Tickets for the Madrid racecourse at Zarzuela can be purchased online in advance from Entradas.com or on the day itself at the gate from 1000 onwards. 30€ Preferente - Entrance to the covered "Tribuna Norte", the central paddock zone and all the marquees except the "Green pass" marquee.